Main Plot: Thor fights to restore order across the cosmos...but an ancient race led by the vengeful Malekith returns to plunge the universe back into darkness. Faced with an enemy that even Odin and Asgard cannot withstand, Thor must embark on his most perilous and personal journey yet, one that will reunite him with Jane Foster and force him to sacrifice everything to save us all. In general cases, diverse DVD copy protections are put on the DVDs of big-budget movies, such as region codes, DVD CSS, RCE, UOPs, Sony ArccOS and Disney X-project DRM. DVD Thor 2 is also strongly encrypted. Specifically, when ripping Disney DVD Thor: The Dark World to AVI, MP4, WMV, MOV, FLV, MPEG and other videos by ordinary DVD backup programs, you may encounter the problem that the titles are skipped and jumped to cause disorder, crash and conversion failure to defeat backing up this DVD in normal manner. Having settled such issue and enabled to bypass such tough encryption, WinX DVD Ripper Platinum (or for Mac) can backup DVD Thor 2 to DVD folder/ISO image to prevent kids’ scratches for personal use, rip and convert DVD Thor 2: The Dark World to MP4, AVI, M2TS, MPEG, AVC, and help you play Thor 2 smoothly on iPhone, iPad, Samsung, HTC, Microsoft, Google, Nokia, Sony mobile phones and tablets. Before decrypting and ripping this DVD, please download Windows or Mac edition of DVD ripper according to your computer. Install it following the Wizard, copy and paste the license code to register it, and then double click to open it when you are in need of ripping DVD Thor 2. Step 1: Insert the DVD disc to your DVD-Rom of PC, click 'DVD Disc' button. This professional DVD ripping software is also designed to facilitate the owners of ISO image file and DVD (VIDEO_TS) folder to input digital file of DVD as source flexibly. Step 2: Choose a corresponding output profile and format. 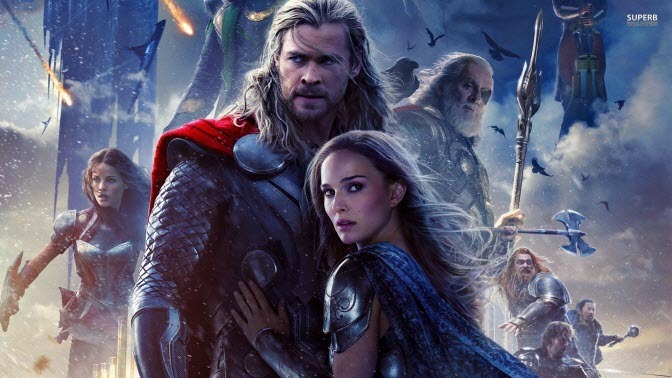 You are free to convert DVD Thor 2 to a digital copy for playing on PC, iPhone 5S/5C, iPad Air, iPad Mini 2, Samsung Galaxy Series, Google Nexus, HTC One, etc. Step 3: Click on the big RUN bottom to start fast ripping DVD Thor: The Dark World. After several moments, you have finishing backed up the DVD on your PC. Then you can bring it up for different uses, like playing, editing, or putting Thor movie DVD to USB, Android, iPad, iPhone, PSP, Apple TV, smart phones or TVs, etc. 1. Fast copying DVD Thor 2: If you care more about speed, try the "DVD Backup" and click "Full Title Copy". Surprisingly, cloning DVD to an MPEG2 video file with full audio/video/subtitle tracks cost you less than 10 minutes (also depending on your computer configurations, e.g. : DVD drive speed, CPU). There is no any quality loss in this copy mode. 2. By clicking "Edit" button, you are enabled to crop, trim the movie, merge DVD titles, and even add your own downloaded subtitle to the video. 3. You can extract music or pictures from DVD Thor: The Dark World. Note: The software developer only advocates ripping/copying DVD Thor: The Dark World for personal use only and suggests referring to the DVD copyright laws in your countries before doing so.